Whether you have an allergy to dairy, you are vegetarian or you’re just looking for plant-based options, enjoying a plant-based lifestyle can be a healthy choice. With the arrival of the brand-new Harvest Thins™ in Thai Sweet Chilli flavour, we’re so excited that the ANZ market continues to gain dairy-free products that suit the dietary requirements and preferences of so many of our Customers. 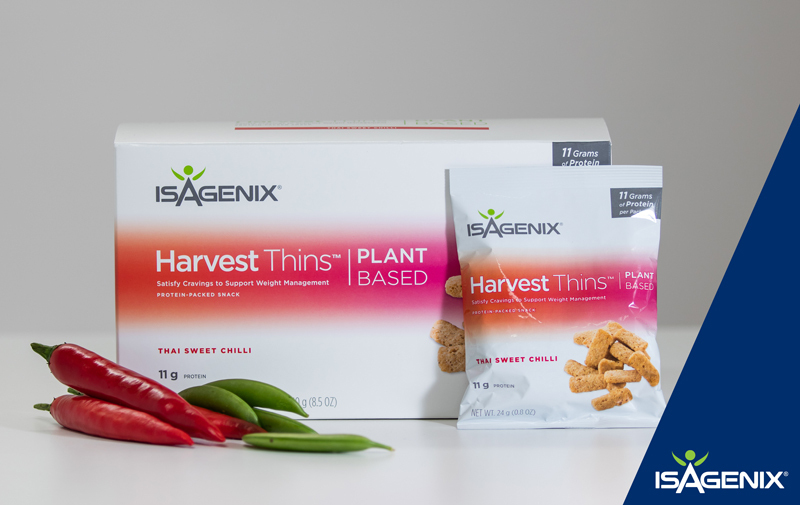 Along with the inclusion of Harvest Thins, our dairy-free line also contains Isagenix Snacks Dairy Free Natural Wild Berry, IsaLean™ Shake Dairy Free in Rich Chocolate and Vanilla Chai and the popular IsaLean Bar Dairy Free Chocolate Berry Bliss that flies off the shelves. Customise your 30-Day System to make it dairy free! You can also swap out Whey Thins for Harvest Thins in the popular Ultimate Pack! Plant-based protein is a great addition to a dairy-free lifestyle, especially when combined with the 30-Day System. Our dairy-free products contain fibre to fill you up and support weight management as well as good fats and energy-fuelling carbohydrates to keep you going through the day. In addition, they have just the right amount of high-quality protein to support lean muscle growth. With no stimulants, artificial colours, flavours or sweeteners, it doesn’t get much better than the Isagenix dairy-free range.